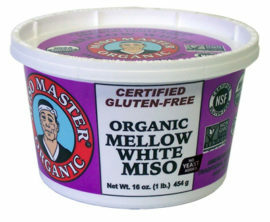 Miso Master Organic Chickpea (Soy-Free) Miso uses garbanzo beans (chickpeas) instead of soybeans as its base. It is soy-free so that those consumers on restricted diets because of soy allergies also can partake of the many health benefits of eating miso. Miso Master produces the only organic soy-free miso in the natural food industry. Aged a minimum of 30 days. Shelf life about 18 months. 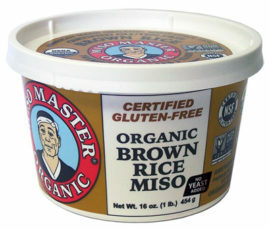 Miso Master Organic Chickpea (Soy-Free) Miso uses garbanzo beans (chickpeas) instead of soybeans as its base. It is soy-free so that those consumers on restricted diets because of soy allergies also can partake of the many health benefits of eating miso. 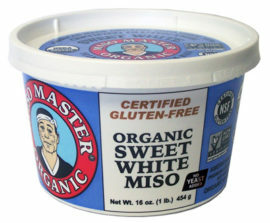 Miso Master produces the only organic soy-free miso widely available in the natural food industry. 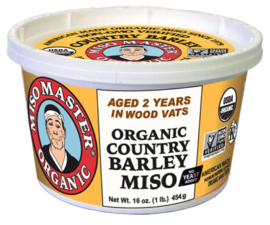 Miso Master Organic Chickpea Miso has less salt and more rice koji (rice innoculated with aspergillus spores) than traditional misos. Reducing the salt speeds up fermentation, while increasing the grain content makes more starch available to turn to sugar, producing a milder miso. Because of its increased availability of starches, decreased protein and fat content, and lower salt proportion, Miso Master Organic Chickpea Miso deliver a unique flavor profile that enhances not just Japanese dishes, but many other cuisines as well. 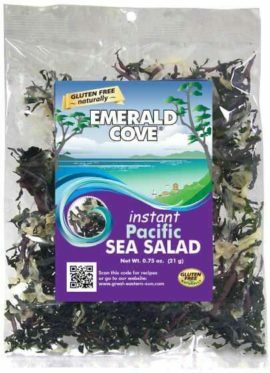 This mild salty-sweet taste is perfect for dips, spreads, salad dressings, sauces, and delicious summer soups. Short-Term Aged Misos also have their own distinctive health benefits. Perhaps because the aging time of Chickpea Miso is so short, typically 30-60 days, the abundant food supply of starches is not exhausted by the time the miso is packed and refrigerated. Because there is still abundant food for the lactobacillus bacteria at the end of the cycle, these bacteria are both much more numerous and more active than in Long-Term Misos. 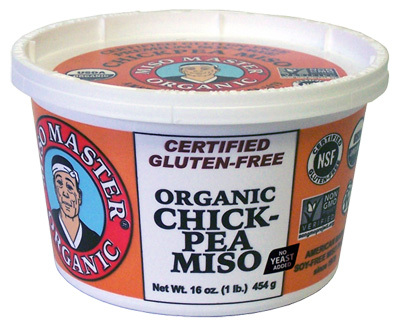 Miso Master Organic Chickpea Miso, therefore, gives a much more powerful dose of these vital probiotic bacteria essential for proper functioning of the digestive system, in many ways acting like non-dairy yogurt. Ingredients: Organic handmade rice koji, organic whole chickpeas, sun-dried sea salt, Blue Ridge Mountain well water, koji spores.